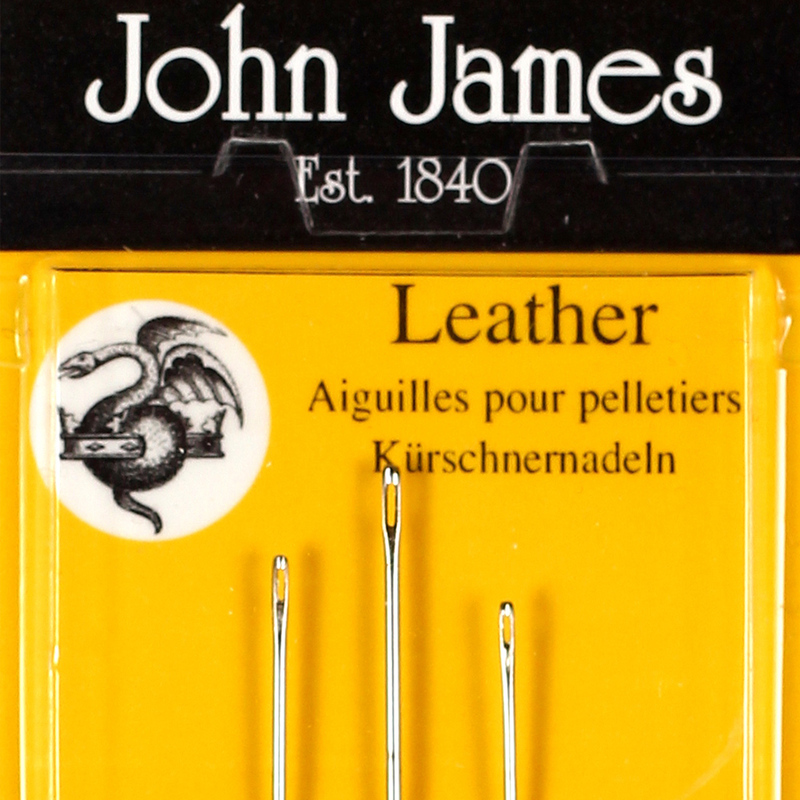 Leather needles are sometimes referred to as Glovers needles because years ago they were used by glovers, who specialised in the art of hand making gloves. These needles are still used today, especially in all types of leather work including shoe making and shoe repairs, belts and leather garments. 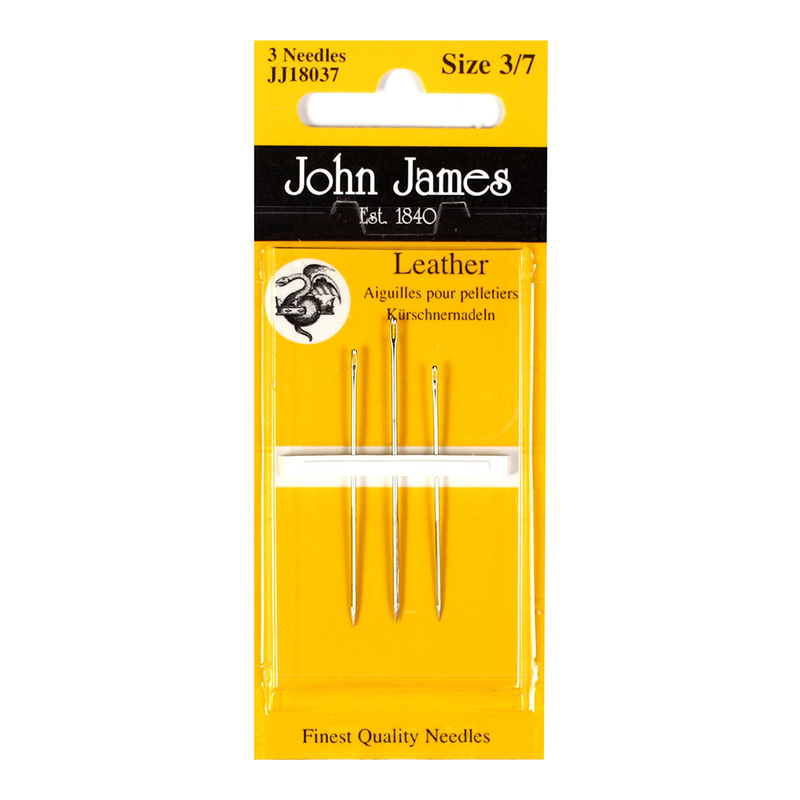 Leather needles have a triangular point, which enables them to pierce and pass through tough materials such as leather, suede and vinyl without tearing. 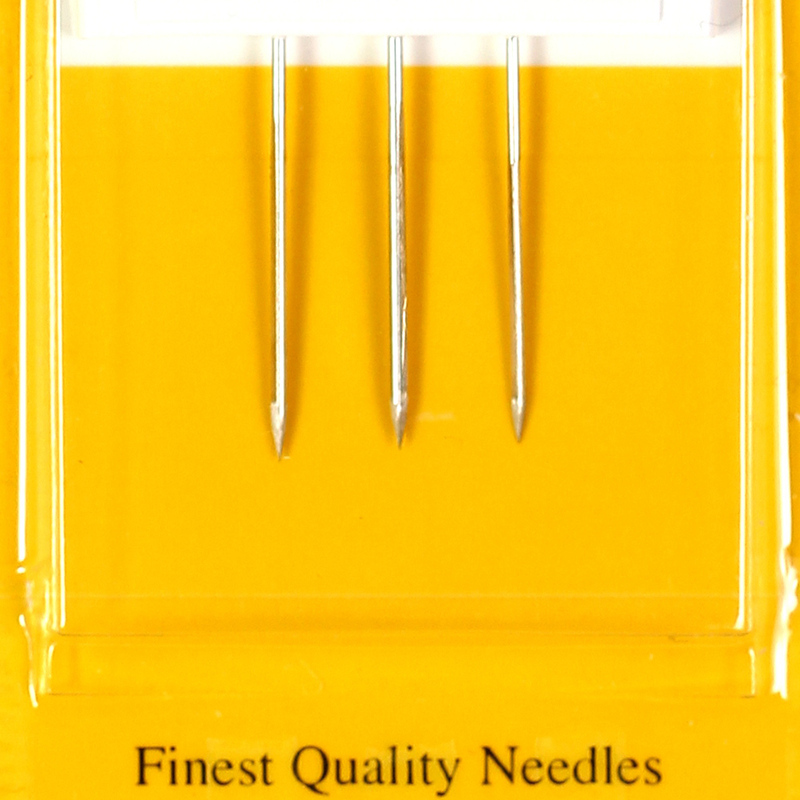 Each pack contains 1 needle size 3, 1 needle size 5 and 1 needle size 7.